A rather bold fusion of some rather odd notes. A woody aromatic fragrance heavy with peculiar notes, ultimately making for a very simple scent. 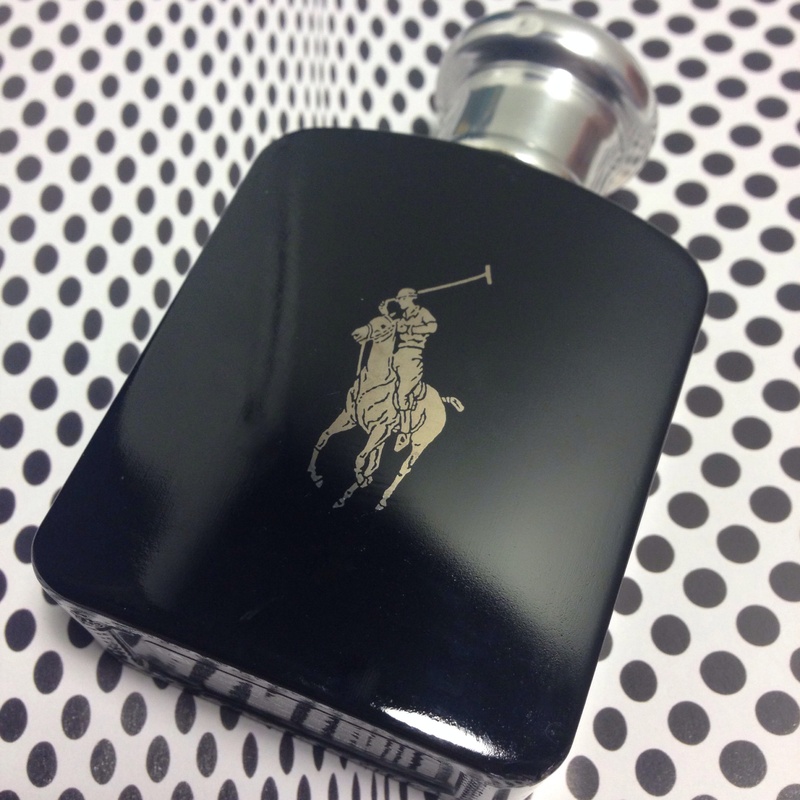 Concurrently unique and commonplace at the same time, Ralph Lauren’s Polo Black has a rather nice opening – Fresh mango, citrus and sage open up like a fruity cocktail or a tropical punch – with the alcohol a given, of course. However, this combination is about as exciting as fireworks at lunchtime; meaning that yes, there as some impressive, convivial and joyous aspects present in this fragrance, however it is still yearning for something a little bit more uplifting or boisterous. In this instance, aromatic herbs, the tropical sun-touched freshness of ripe mango and tart and tangy tangerine combine together giving a succulent canned-fruit pulpiness, mumbling in the backdrop of things. There’s a welcome soapiness coming through that has a cold and frozen freshness ubiquitously prominent , in comparison to the scent of warm oranges or fizzy citruses that evoke a blushing pink and red freshness; not crispiness or a sort of astringent cleanliness that usually follows through in men’s fragrances. Polo Black also has only the faintest remnants of a male muskiness (the rough lavender is at fault here) in the background whilst the lifeless and rather common woody notes project out. An underlying issue with Polo Black is perhaps the generic nature of the vetiver, santalum and cedar atlas. Derivative and very familiar. The alcoholic muskiness found at the back of this scent is caused by the lingering note of wormwood; used very sparingly, it creates an icy vermouth/absinthe freshness. The green faerie enchants this fragrance and gives it a penetrating tang; and transfixing element of lukewarm surprise. Side note: Polo Black is classified as a ‘fruity floral’ but I’ve noticed those fragrances are made masculine with the addition of certain stonefruits; keeping in mind blending is also very important too! For example, plum (Plum Japonais) and mango (Un Jardin sur le Nil). We combine the peppery aspects of sage, the balmy warmth of tonka bean and the weight of woody notes and we get the drydown. Incredibly soft and a fleeting sillage; forever transient. To a great degree the opening is surprising. A tropical fruit basket of lavish stonefruits with the ingenious addition of sage gives a fuzzy sense of male refinement; often done poorly in the designer male market. Polo Black contains the mysterious touch of forbidden (or well… heavily restricted) wormwood tumbled around with the (umbrella term) scent of laundry detergent on cold setting- an unfortunate sage & lavender scenario on peptides. Alternatives: Aventus by Creed; Memoir Man by Amouage; and L.12.12. Red Lacoste for men by Lacoste. I wouldn’t say uninspired- but it’s close. Bodywash. This entry was posted in Ralph Lauren and tagged Fragrance, fragrance review, polo black, ralph lauren, Review. Bookmark the permalink.